Cars in films have always held a special place in our hearts, featuring in the fondest movie memories of one in two of us. On top of that, sixty percent of us see cars as absolutely integral to movie history as a whole! According to the research of 2,000 UK adults, James Bond's Aston Martin DB5 is the greatest movie car of all-time. The iconic motor was first seen in 1964’s Goldfinger and has appeared in seven Bond movies to date, most recently in 2015’s Spectre. It comes equipped with a host of gadgetry including a bullet-proof rear windscreen, in-built machine guns, tyre slashers, and an ejector seat. On the other end of the spectrum, family-friendly Chitty Chitty Bang Bang finished second in the poll, closely followed by Doc Brown's DeLorean from the Back to the Future Trilogy in third place. Herbie, the star of five car movies so far, came fourth, whilst the Batmobile from Christopher Nolan’s Dark Knight flicks finished in a very respectable fifth. Cars from Marvel movies appear several times - including Iron Man's Audi R8 from the first Iron Man flick and his Acura NSX Roadster concept from Avengers Assemble. Another superhero’s car of choice, The Batmobile, features three times in the list - the Tim Burton version (11), the version made famous by Adam West (10) - along with the Christopher Nolan version mentioned above (5). Agent Coulson’s Lola from Avengers Assemble made the list as did Hank Pym's Triumph Spitfire from the first Ant-Man film. There appears to be an obvious link between popular cars in movies and action & superhero movies, which is why Hyundai’s partnership with Marvel in particular is so exciting. 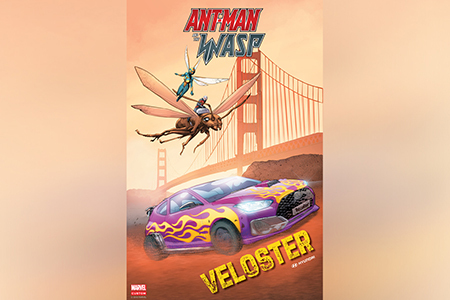 The most prominent of the three cars in the new Ant-Man movie is the Hyundai Veloster - featured in hot pursuits, fast manoeuvres and incredible stunts serving primarily as an escape vehicle. The movie makes it clear that the vehicle’s stylish design and performance capabilities make it a great option to appear in this fast-paced and action-packed genre of film. In addition to the Veloster featuring in the latest Marvel film, Hyundai has also just unveiled the Kona Iron Man Edition SUV at Comic Con. The special edition features interiors and exteriors inspired by the iconic Iron Man suit and will be built to order on a limited production, coming on-sale in the UK next year. 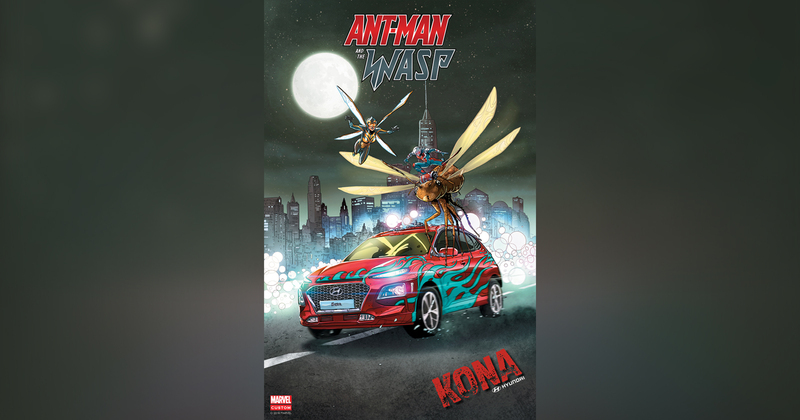 The Kona Iron Man Edition is a great example of the duality of the brands, seamlessly blending both together into one exciting and eye-catching vehicle for fans of the Marvel universe. The research also uncovered our favourite movie car chases, though interestingly not all of them featured in our best car chase movies! Unsurprisingly, number one was the iconic sequence from The Italian Job whilst second place went to the chase in Bullitt and third spot went to the scene from 1971’s The French Connection. Amid this, 55 percent of us agree the ideal car chase should feature near misses, 32 percent want to see cars driving into oncoming traffic and 29 percent want crashes. Twenty-eight percent think the perfect chase needs police cars, whilst a quarter of us want to see pedestrians jumping out the way, and the optimal length for a chase should be four minutes and 23 seconds. 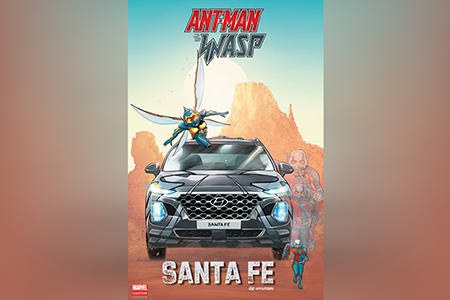 Hyundai has a strong relationship with Marvel, and it's exciting to see what that relationship will bring in both the Ant-Man and The Wasp release this evening, as well as in the future.